One of our techniques for December was a Crayon Resist. 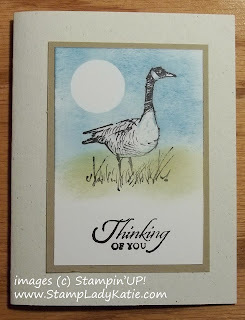 The goose image from the Wetlands Stamp set seemed like the perfect image to use. I wanted his breast to remain white, yet I wanted to sponge a sky background all around him and also add some green to the grassy area. The concept of a resist is simple: you put something onto the paper that will "resist" the ink. The wax of the crayon and the ink (which is water based) will not mix, so the ink will not stick where you color with the crayon. I colored the goose's body and face with white crayon. The moon was masked like these samples. Don't you love this goose. He's so natural looking. Wetlands has quickly become one of my "go to" stamp sets. 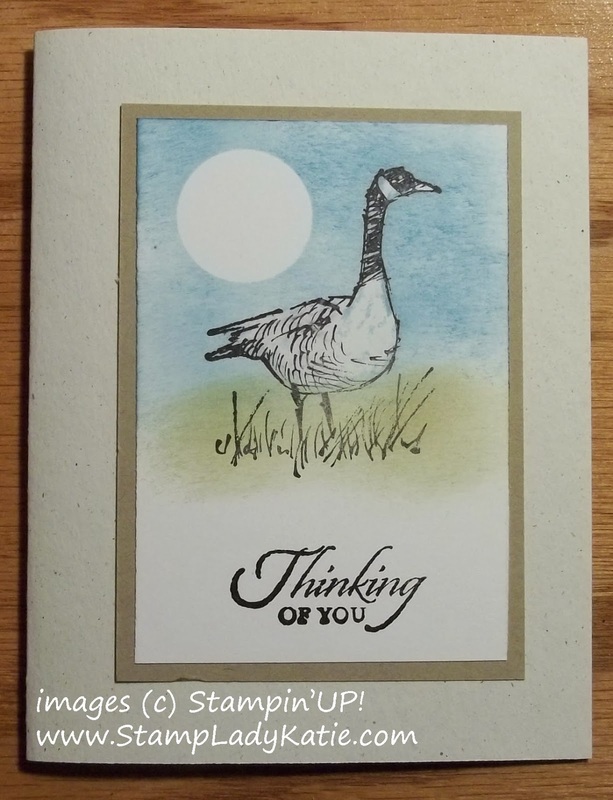 The birds and grasses are great for masculine cards and they really reflect the natural areas around where I live in southern Wisconsin. 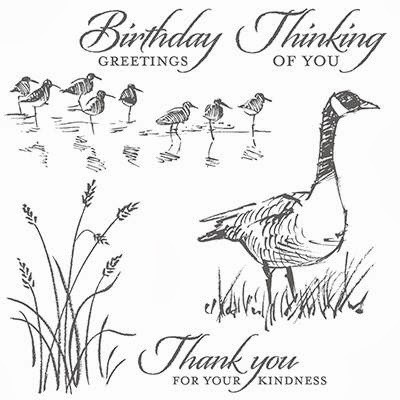 Bonus: The Wetlands Stamp Set comes with sentiments! Too many of the gorgeous image sets have only images - but this set has words too. And I'm totally in love with this font - it is so-o-o elegant! Speaking of gorgeous stamp sets - have you seen our catalogs? The Holiday Catalog Expires soon: There's only a few weeks left to order product from The Holiday Catalog. The Clearance Rack has lots of past favorites. 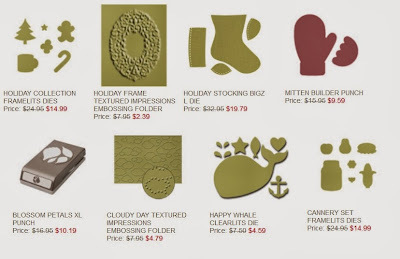 This image shows just a few of the items currently available on the Clearance Rack - WOW these were definitely favorites and the clearance price makes them a MUST have. But . . . . they're all only available while supplies last! Some items are already sold-out and gone.